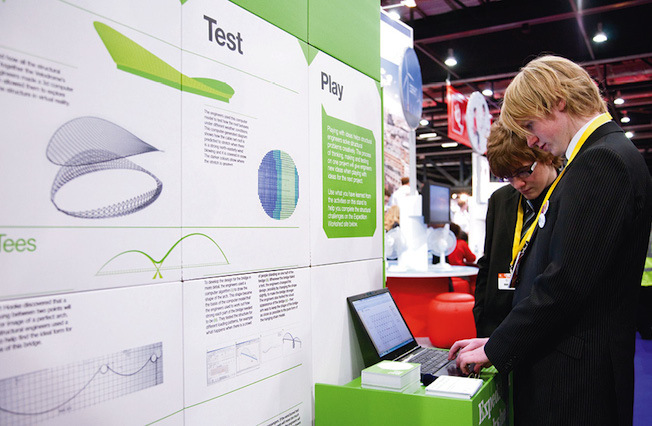 In January 2011 the Institution of Structural Engineers commissioned Think Up to design its stand for the Big Bang 2011 Science Fair at London’s Excel centre. 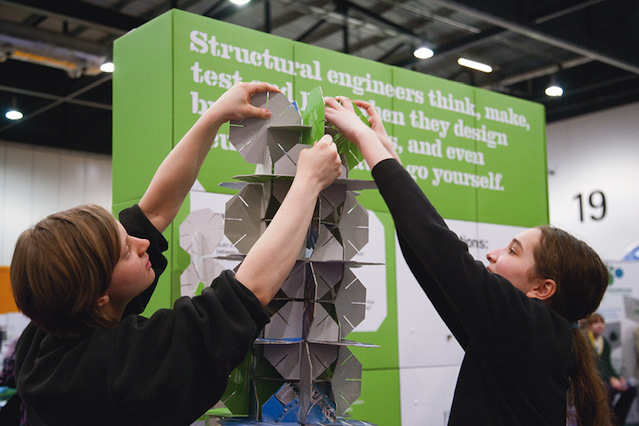 Their brief was to create a stand that would communicate the fun and creative side of structural engineering to 11 to 16-year-olds. 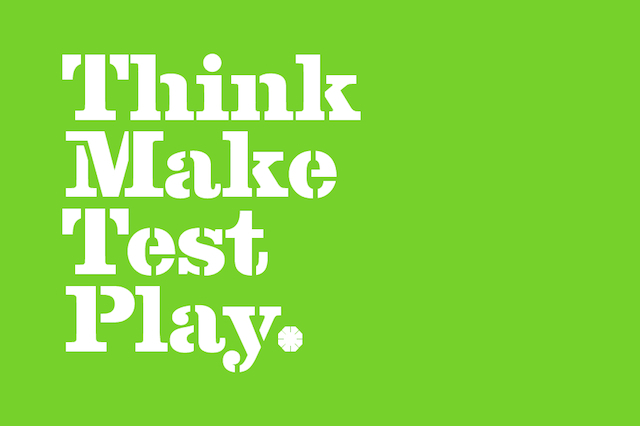 Working with our sister communications design company thomas.matthews our response was Think Make Test Play. 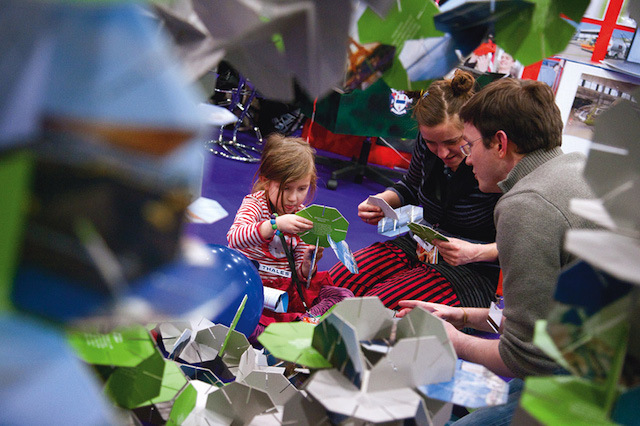 Visitors are attracted to the Think Make Test Play stand by a constantly evolving 2.5 metre high sculpture constructed interlocking cardboard octagons. 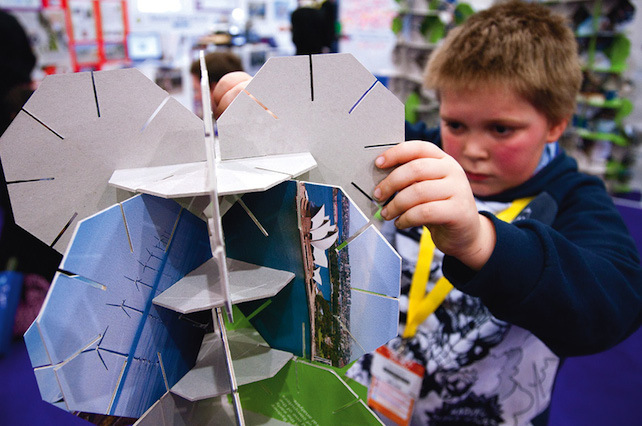 Visitors are challenged against the clock to build the tallest tower they can, using these same octagons thinking, making, testing and playing as they go. With imaginations captured, visitors can learn about the creative process of designing several iconic structures, and can play with computer models of these structures hosted on the Expedition Workshed website.